Ran good speed rating at Kempton and now 4lbs lower. Is 2/4 in class 4 races and down to a reasonable mark. Has some smart form; only beaten 1.25 lengths by Mabs Cross at start of season. 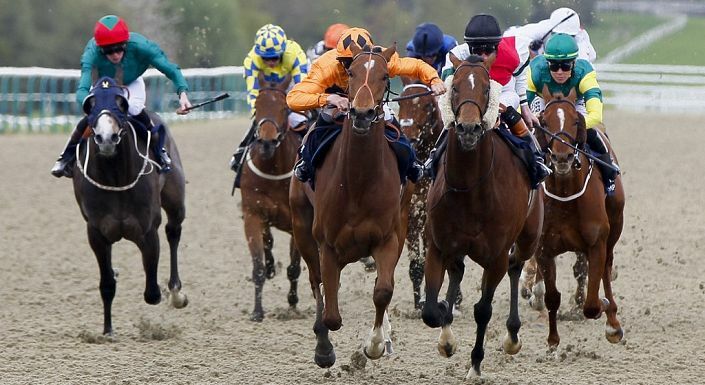 Only 1.75 lengths separated Harry Hurricane and Equimou at Kempton in October and it is a strong bit for form. Big speed ratings were recorded for the first six home (Island Of Life has franked the form) and it was all achieved with a sub-optimum pace distribution. Harry Hurricane is a worthy favourite on that form but Equimou should be closer to him in the betting. She races off a 4lbs lower mark and is better drawn for her front running style. She caught the eye when running a massive race behind Mabs Cross at the start of the season and her handicap mark took a hammering but she is off a winnable mark again. She is 2/4 in class 4 company and a good bet at double figure odds.